We have the fascicle situation, where the climate change people are trying to limit temperature rises caused by INCREASES in CO2, to just 2oC: historically, CO2 only rise 4 years after an ice age has started. And then CO2 man's emissions fell by 4.5% 2 years ago, and 6% last year. But when did things like fact get in the way. They want to restrict CO2 – but its levels are FALLING. Photosynthesis caps CO2 at 2 parts per million - higher numbers are jusgt PR from nuclear power, and its paid stooges. Nothing to do with biochemistry or the Doctor. People are using a High-Intensity UltraSound machine at home – 1 minute of 8W 1MHz ultrasound from a massage device is a medically licensed cure to ALL cancers. I suggested the idea at Sheffield University 2001, Sheffield ended my PhD, for no reason. The next year 3 medical professors from the Moffitt published the world only total, absoute cancer to cancer. High-Intensity UltraSound blows cancer cells apart, as they boil. At power levels benign to body cells. 1 H2Op+US->He+O+E2+X-ray this works as cancer cells must be pressurised, to induce body cells to divide and grow. So this probably means I have saved 6 million people dying in agony – no PhD. 10% of the UK population. Soft-body cancers divide in a viral way – as does HIV – obviously. To induce body cells to divide, the cell needs and inflated cell nature – and some viral DNA: so cancer is NOT random – it arises from left over fragments of previous infections – pathogen leaders. The local dendrite see the dangerous cell type – and secrete the ative human antibody. This will cure the cancer/HIV – but is totally outside patent protection. So 67 cents per bottle of pills. That will cure leukaemia or HIV: both turn out to be trivial infections to clear. Not using defective, criminal biochemistry. No registered Dr has been allower to research biochemical treatments since High-Intensity UltraSound was published 15 years ago. Those that research or prescribed biochemistry, struck off. They must return 15 years of wages – and get no pension. And then they stand criminal; trial: probably your GP. 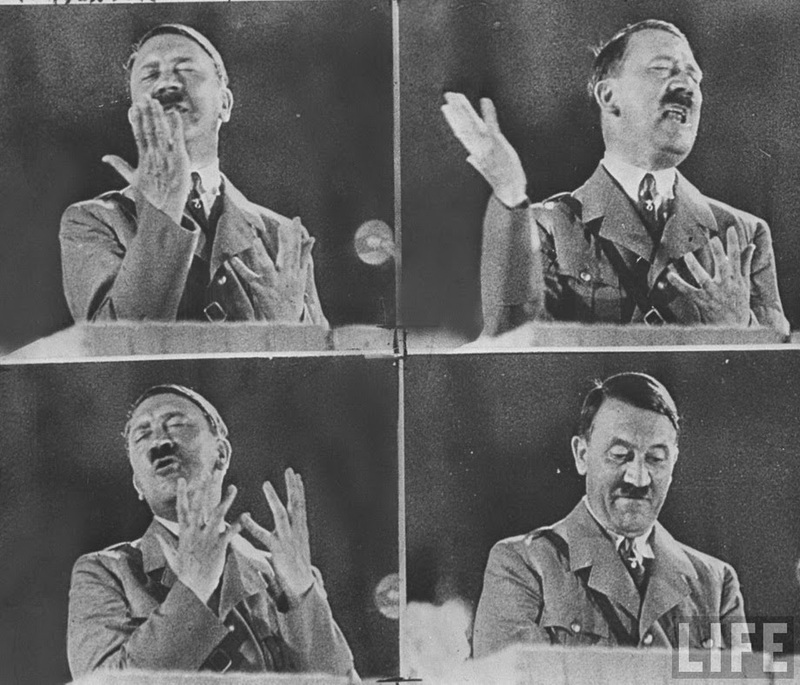 Hitler was a drug addicted, mentally unwell war leader, who resulted in the deaths of 60 million people – the worst killing at the time. We think he was addicted to prescription drugs, and had Parkinson's. So Dr.s were killing him. Your family GP has continues to prescribe biochemical treatments – 15 years after they were medically defective. High-Intensity UltraSound was shown to totally clear cancer 2002. I use ½ a minute of 8W 1MHz ultrasound – fatal to all cancers. Nurses are not allowed to assist with fatal medicine – so 80% of nurses are now excluded from medicine for life. 100% of the pharmacists and doctors are also excluded from health services. Dr.s must repay 15 years of wages, and et no pension. Academic medics were all prohibited from working on biochemistry from 2002. They must repay 15 years of wages, get no pension, and face criminal trial. 5 million for ever resulting death seems appropriate – and 12 years in jail. For 50,000 patients – all killed by biochemistry. So Hitler killed 60 million in 5 years. Dr.s have killed 500 million, in 15: the worst killers in history. Total legal fine 500 trillion – 3 time the worth of the planet. Your GP – ONLY deliberately killed 10,000 patients: and you trusted them with your life. 10 billion as a fine, and 4 millennia in jail. Worst killers in history. That year the Moffitt applied High-Intensity UltraSound to prostate cancer – and the cancer cells popped: they could not understand why. The source of the X-rays in scans. High-Intensity UltraSound (E.g. 8W 1MHz for ½ a minute) causes pressurised cells to boil – and poop. Inducing an immune action to clear the distinct cancer cell type from the body. So in 2002 the Moffitt published a 100 person double blind trial. Comfirmed by all medics on all cancers. So then the Hippocratic oath prohibited all research, teaching or application of biochemical treatments – now defective, criminal medicine. And all registered Dr.s have promised to strike themselves off, the first time they break the Hippocratic oath. 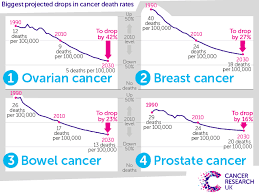 So ALL cancers totally cured 15 years ago: and not 1 doctor has struck themselves off. They have continued with defective, criminal biochemistry. A fine of 10 million UK pounds, and 25 years in jail for every patient death: the fine and jail time for academics is a matter for lawyers. But academics have tried to legitimise defective medicine – very, VERY serious. And your GP has helped kill ½ a billion people in 15 years. And not 1 newspaper has written any copy, about the largest, and worst homicide in human history: our own health givers turned murders. I started writing this about the Welcome Trust being unethical/illegal & unethical. It applies to all drug companies AND medical schools. The people we trust with our lives. Until they kill us – deliberately. 2002 High-Intensity UltraSound was proven to clear cancer at 1 appointment: no biochemistry, Dr or hospital involvement. 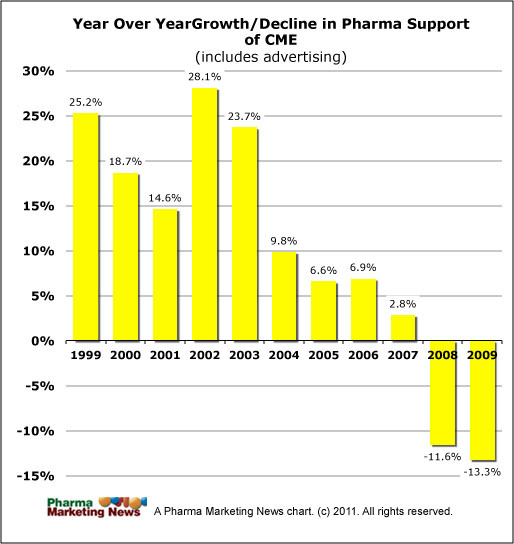 80% of drug company economic activity now illegal. At this point I should add, the web site does not say what is studied at Cambridge – but biochemical research for cancer illegal. 2012 heart disease was totally cleared, using High-Intensity UltraSound to the top left of the chest and kidneys: again no research or prescription of heart drugs was legal. 2013 I cleared heart disease, diabetes, MS, Alzheimer's, Parkinson's, depression and Schizophrenia at St Clement's Church, using a medically licensed 8W 1MHz ultrasound massage device. Drug companies got my health group shut down – for using a commercially sourced ultrasound massage device – in the way directed. 1 minute to any cancer, totally clears it. ½ a minute to the lower right of the chest clears diabetes: type 1 remits only after 3 days. Forever. ½ a minute to the top left of the chest and kidneys is medically proven to clear heart disease. Annually they plough 300 million into defective, criminal research. No academic is going to pay any need to the Hippocratic oath: 'No research or prescription of defective medicine. So we are talking $50billion. They spend 600 million on education – and bank the money. But since 2002 they have killed 1/8th of the developed world using defective, criminal medicine – and are still at it! One application of High-Intensity UltraSound, the disease is totally gone. ½ a minute to each side of the rib cage clears all viral and bacterial infections. So all antibiotics, and its research is criminal. Dr.s researching biochemistry for the last 15 years ceased to be registered Dr.s 2002. They have to repay all wages, and get no pension: and face criminal charges. All present researchers – same penalties. Since 2002 biochemistry has killed ½ a billion people, for the profit of the drug company, hospital and Dr.. Super ethical? I think not. All Dr.s and drug companies have signed the Hippocratic oath, so should have been expelled from medicine 2002. All biochemical drug companies CRIMINAL. They don't like publishing current data - this is 8 years old. In 2002 the Moffitt published the cure of cancers, using High-Intensity UltraSound. This is the source of X-rays in ultrasound scans. The beating hearts of Arctic fish do Molecular Nuclear Fusion down to -20oC. Your heart does it 70 times a minute. Which is why you breath out helium, and you can take your pulse with a Geiger counter. So under 1 minute of 8W 1MHz ultrasound from a massage device will totally clear ALL cancers: no biochemical prescription legal. Your GP has a 8W 3MHz device – bought after the Moffitt paper. Kept only for the Dr.s personal use. Everybody else got defective, criminal biochemical prescriptions. And Dr.s quite happily make money out of killing all people – including Lords of eh UK government. Who have the authority to ORDER the General Medical Council to instruct GPs top use life saving High-Intensity UltraSound. Will be sudden. The US and other countries have borrowed from China, so much it is now having to borrow. So its credit rating has been downgraded from Aa3 to A1. In April, the politically sensitive food prices declined by 3.5 percent (from -4.4 percent in the prior month) while non-food cost rose 2.4 percent (from 2.3 percent). Cost of consumer goods went up 0.2 percent (from - 0.1 percent) and those of services increased by 2.9 percent (from 2.7 percent). Among food, prices rose markedly for fresh fruits (5.9 percent from 3.0 percent). In contrast, prices fell for: pork (-8.1 percent from -3.2 percent from -0.9 percent), fresh vegetables (-21.6 percent from -27.9 percent), eggs (-11.4 percent from -11.8 percent) and tobacco (-0.2 percent from -0.2 percent). Prices were unchanged for milk (from -0.2 percent). China is used to an inflation rate of 2%. Suddenly interest rates are going to be 12%, rather than 2%. And 80% of Chinese businesses will go broke. This will cause riots and famine – and all societies are 3 good meals from revolution. 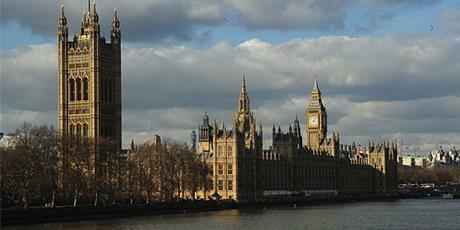 Here in the UK the General Medical Council is subservient to the House of Lords. The General Medical Council refuses to adopt the medically proved High-Intensity UltraSound to clear all cancers. It was medically proved as a 1 appointment total cure to cancers 15 years ago: by the Moffitt cancer centre in Florida. High-Intensity UltraSound does not affect body cells, but it causes inflated cancer cells to experience cell content boiling, and fragment. Clearing that distinct cell type from the body. Eureka – a 1 appointment total cure to cancer. I use a 8W 1MHz ultrasound massage device. Medically licensed for home use. Your GP has a 8W 3MHz ultrasound device, bought in 2002 – but only used for close family members. A UK Lord, undergoing cancer treatment, can get the House to instruct the CMC to issue an order to UK doctors, to use High-Intensity UltraSound – and clear all cancers, heart disease and diabetes at the next appointment. The General Medical Council is under a legal imperative to do this anyway, but the drug industry has used its money, to stop this: totally illegal bribery. The Senate in the US can order the American Medical Association to obey the law – and cure all cancers etc. 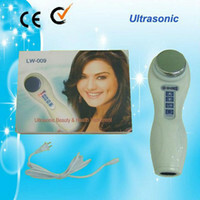 Highly intensity ultrasound 150 W 40 kHz applied externally just once will cure all the diseases of age! 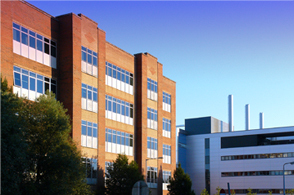 Since 2002, when HIUS was used to totally clear cancers. Cancer drugs all TOTALLY defective. No registered Dr is allowed to research, teach or prescribe them. Drug companies are bound by the Hippocratic oath – so manufacturing and selling defective medicine criminal. But they have bought off the regulators, so 15 years later they are still making the criminal medicine. And they have induced Hippocratic oath swearing medics to prescribe them. And they have bough off education, but giving universities large new research facilities TO RESEARCH CRIMINAL MEDICINE. So every involved academic medic, struck off 15 years ago. They must repay all wages, and receive no pension. The level of legal fine is a matter for the engineers. 450 million UK pounds seems about right: oh, their health insurance is invalid. So work in health CRIMINAL. And GPs, confirmed High-Intensity UltraSound 2002. They have killed 10,000 patients each – legal fine 100 billion, each. In 2002 all Dr.s read and validated the use of High-Intensity UltraSound to cure cancer: not to have done so would have dismissed them from the medical register instantly. It works for all 200 cancers out there: as the pressurised cancer c ells experience Molecular Nuclear Fusion – the cells boil and pop. 1 H2Op+US->He+O+E2+X-ray I gave this idea to Sheffield University 2001. They ended my PhD illegally – for no reason. All degrees from Sheffield after March 2001 invalid. Source of the X-rays cancer cells give off in ultrasound scans. Body cells do not. So ALL cancers cells are cleared by 1 session of High-Intensity UltraSound. Cessated cells are also cleared – revitalising organs and limbs. I use a 8W 1MHz ultrasound massage device as my medially licensed High-Intensity UltraSound source. It does not affect body cells. 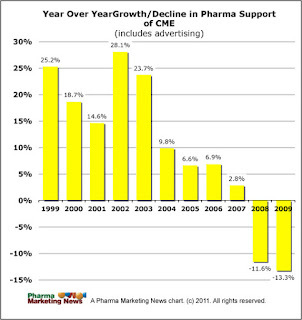 The biochemical drug firms were the largest in the world. The gave Dr.s consumer electronics, subsidised conferences or family holidays – if they carried on prescribing defective, criminal biochemical treatments. Chemo and radio therapy, plus surgery also defective from 2002. Lately the just gave the Dr.s money, to break the Hippocratic oath - 'only the best medciine – or I STRIKE MYSELF OFF THE MEDICAL REGISTER'. So that means EVERY prescribing Dr had not been a registered Dr for 15 years. They have no health insurance, and can't legally practice medicine. 10 million for every cancer death – money paid to the family -YOU. And the Dr gets 25 years in jail. You get all medical fees back from 2002. By the time they had realised they were the worst mass murderers in history, they have already amassed a multi century jail term, and a multi million fine – with no insurance. 10 killings, and all the Dr.s saving were wiped out. Today 10 billion as a fine, and 4 millennia in jail. So what had they to lose – they carried on prescribing. I met a lawyer from the British Council, and used my High-Intensity UltraSound device to clear his liver cancer. So the British Council stopped the financial inducements drug firms used to bribe Dr.s. So you GP is bribed by drug companies, every day. To kill YOU. So all the Dr.s who could, took early retirement. Sorry, a struck off Dr gets no pension. They must repay all wages from 2002, and hand themselves and their notes, into the police. That is what a reasonable person does. A moral person NEVER prescribes defective medicine – and sees their paying patients die horribly in agony! In just 2 years. From a disease cleared by 1 minute's use of the 8W 3MHz ultrasound device the Dr bought in 2002 – after confirming HIUS totally cleared cancer. Since them criminal Dr.s have killed ½ a billion patient – that is 500 trillion in fines. 3 times the worth of the planet. So each family, YOU get 10 million for ever family member who died of cancer, under defective medicine. And Dr.s get 25 years in jail – or executed for 1st degree murder. Multiple counts. for making diesel from vegetable oil. You heat the vegetable oil at 120oF, for up to 4 hours. And you get biodiesel. Buy oil from your local fast food outlet. Filter and heat the oil – and car fuel. With no Fossil Fuels burn. The plant takes in CO2 to make vegetable oil, and when burnt, you release this gas – to make more biodiesel. Well done, you are saving the plant, and fuel your can for 8% the coal of Fossil Fuels diesel. A working diesel releases less CO2, and the same NO/NO2 (NOx) as a petrol engine. So going back to petrol burning – a massive leap backwards. But we can make biopetrol. C15H32 will diesel, but to petrol, we need C15H32 or higher. So we need to add 2 methane units. Hence OPECs feel of diesels – and its rubbish about NOx being a pollutant: it fertilizes natural plant growth – which lease only 2 parts per million CO2 in the air – the pre-industria; level. So we do not use up the Titanium catalyst – it stays, as a honeycomb lattice. So we bubble biodiesel down, and pass natural gas up. We get at natural gas, through fracking: the industry has loads of spare capacity. Suddenly, we have biopetrol – a carbon 0 fuel oil. Plants, algae and bacteria take in the CO2 to grow. Fracking can be done by passing steam through deep water shale. And burning some of the gas, will produce the steam for us – for free. So every petrol station can make petrol around the back – vegetable oil cost 90p/L. Petrol sells for 2 UK pounds a litre. So our biopetrol will cost us 1 UK pound/L. Now that is a markup. Used past-food oil – 5p/L. Usually they pay to have the oil tankered away. CO2 emission fell be 6% last year, 4.5% the year before. The world climate has been COOLING for 1 years. All garages can cheaply and simply MAKE biodiesel. Which will sell for a premium over Fossil Fuels diesel. It is not hard! See above. 8W 1MHz ultrasound from an ultrasound massage device, for ½ a minute to the lower right of the chest clears diabetes. The diabetes is caused by an inflated viral structure – inflated in order to grow and cause disease. That level of ultrasound was medically proved to clear all cancers 2002. So cancer drugs are defective, criminal medicine. There is some value in also High-Intensity UltraSounding your kidneys. No drugs! Type 1 takes 3 days to remit, totally and forever. If we apply e,g, 8W 1MHz externally to a cancer or 1 minute – the cancer cells pop. This work for all human and animal cancers. 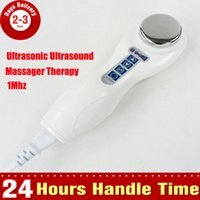 The cheapest source of High-Intensity UltraSound is an ultrasound massage device. Medically licensed for safe home use. This science was published 2002 by 3 medical professors at the Moffitt. And it make sall cancer drugs defective medicine. Also radio therapy and surgery. Any cancer surgeon who has operated in the last 15 years struck off. Any GP who has prescribed cancer drugs for the last 15 years also struck off – losing health insurance. Then all medical practice is illegal for life. The Dr.s gets a 10 million fine, and 25 years in jail for each patient killed. All medical practice is malpractice – massive legal cases. Against an uninsured medic, who gets no legal support from the AMA/GMC etc.. The medic is left out to get roasted. Medical schools have not been allowed to research biochemical treatments etc. for cancer for 15 years. All graduating medics now expelled from medicine for life. And the Hippocratic oath applies all over the world. Any prescribing Dr, now expelled from medicine for life. Get your $10 million now! Early retiring Dr.s are criminals? 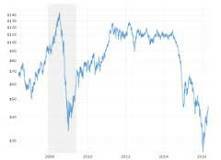 Who is buying oil reserves?